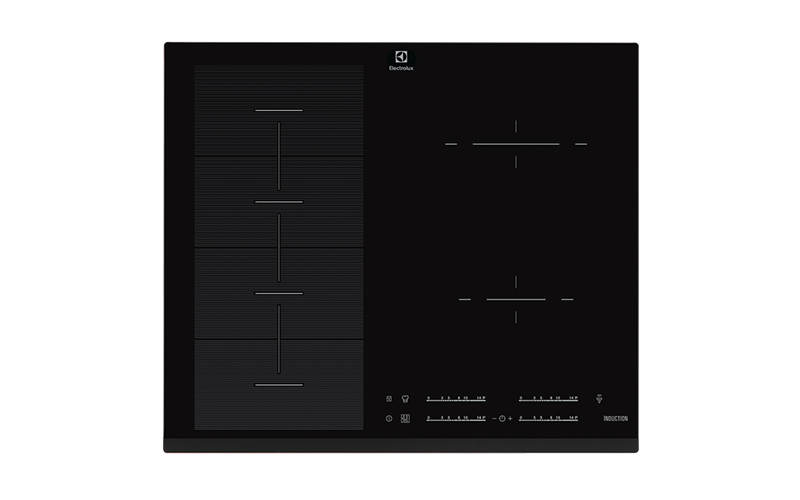 60cm 4 zone induction cooktop with FlexiBridge zone, 14 stage slide control, PowerSlide mode, Automatic heat up, Hob2Hood connectivity capable. With Electrolux PowerSlide, youll enjoy an enhanced cooking experience and instant control. Choose between three different preset heating zones simply by sliding your pan across the hob. Perfect for when you need to make quick heat changes to create a dish, simply slide your pan over the different heat zones for full control in the kitchen. 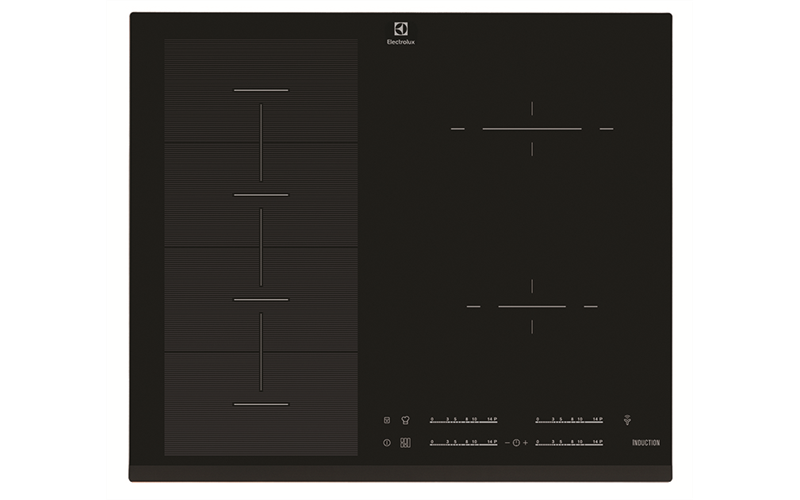 Our new FlexiBridge induction cooktop gives you the ultimate in freedom and flexibility. With a special four-segment cooking area, you can choose your cooking layout or combine all four segments for one of the largest single cooking areas available. Plus optimised heat distribution ensures great results every time.